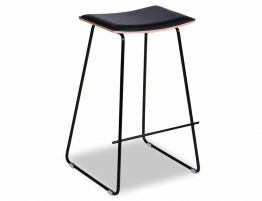 Looking for a modern breakfast bar stool or designer kitchen counter stool? 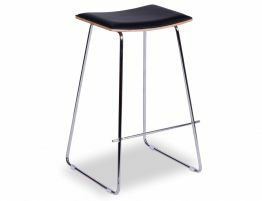 Update your space with affordable designer furniture like this minimalist Hudson Counter barstool. 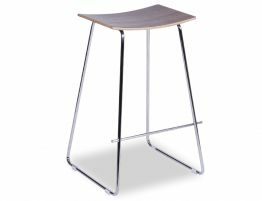 With Relax House, you can find low cost stylish interior design solutions and beautiful designer furniture. Our Walnut Yvonne Potter Replica Y Wood Bar Stool brings a contemporary tailored look ideal for your modern interiors. 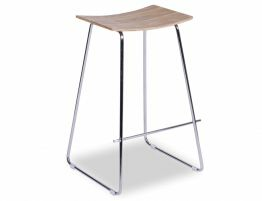 This simple chic breakfast barstool offers a naturally grained, sloped walnut wood seat paired with a well made and stable chrome frame complete with footrest. 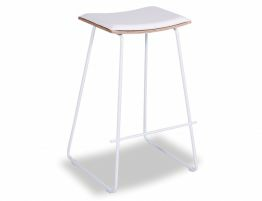 With our well-loved contemporary Hudson Counter stool, you get the designer look without the shocking designer price tag. This gorgeous wood and metal barstool embodies the beauty of fashion, the tailored style of minimalist design and the simple forms and lines of the best of architecture.